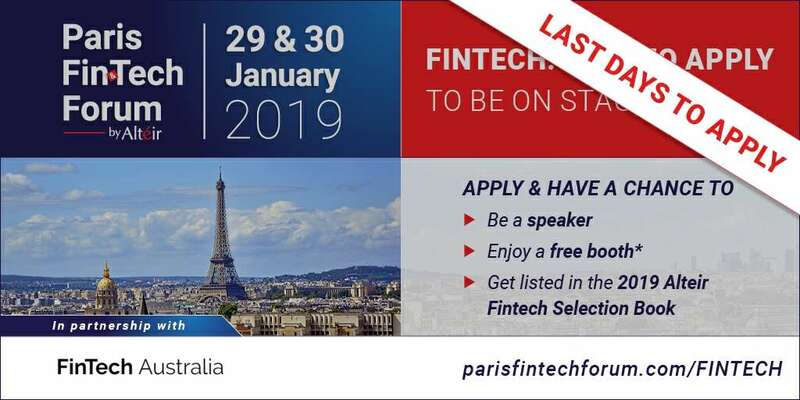 The main event on the digital finance / Fintech calendar in France and one of the main fintech opportunities in Europe, The Paris Fintech Forum will take place at the former French stock market exchange in the heart of Paris on 29 & 30 January 2019. This two day event covers all key areas of digital finance, particularly for fintechs through 100+ panels and interviews. This year, the 4th edition of the Paris Fintech Forum is organised under the high patronage of M. Emmanuel Macron, President of the French Republic, and will host prestigious guests from international financial corporates, fintechs and international organisation such as Ms. Christine Lagarde, Managing Director of the IMF. The event gathers over 150 fintechs CEOs from all over the world in both panels & interviews and on stage dedicated to pitches and showcases. Most of the Fintechs in attendance are also present in an exhibition hall in one of the 100+ Fintech pods.